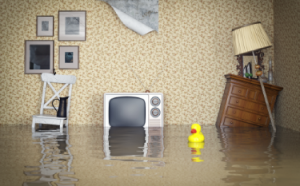 Virtually all homeowners experience plumbing emergencies at some point. Frozen pipes, major pipe leaks, a leaking water heater, and sink and toilet clogs are all considered emergencies by most plumbers. However, the following tips are designed to help you head off small problems, as well as to determine when it is in your best interest to call a plumber. Knowing where this valve is located and how to shut it off is very important. The main water line is typically found in a crawlspace or basement or along the outer perimeter of your dwelling. Most plumbers recommend that you locate this shut off valve in advance to significantly reduce damage during a plumbing emergency. If your water heater has developed a leak or your water has become extremely hot for no apparent reason, turn it off to avoid damaging the unit. This prevents heat from building up on the inside. The latter can lead to the destruction of the unit or the risk of bursting. If it is a gas water heater, you should shut off the gas before turning off the water heater. Call a plumber for any type of water heater leak, as this kind of repair is not a good do-it-yourself project. If you find an easily identifiable leak that is rather small, stuff towels and rags around the pipe or apply some plumber’s tape to the leak, the latter of which can be purchased in most hardware stores. Professional plumbers can then address the problem when they arrive, but in the meantime you can prevent additional damage by following the steps mentioned above. Using a plunger with a smooth, straight up-and-down motion can help to dislodge clogs in your toilet’s plumbing. If this activity proves ineffective, try using a chemical cleaner to remove and disintegrate the clog. Always check the label to make sure you are using the appropriate liquid for that type of drain. If a clogged drain is pouring water back into your house, call a plumber immediately, as this may be the sign of sewage backup or another type of problem that only professional plumbers are qualified to address. One of the best tips for homeowners is to have your plumbing inspected regularly. Plumbers in Laguna Niguel can check for abnormalities or leaks and deal with small problems before they become serious ones. Early leak detection and repair helps to protect your home from major problems and also saves you a substantial amount of money in the long run. Never hesitate to contact a licensed plumber if you think a plumbing problem may be underway.